Reiki is a Japanese technique for stress reduction and deep relaxation. It is a natural Healing Energy. It works in every level, treats the whole person: body, emotions, mind and spirit creating many beneficial effects that include deep relaxation and feelings of peace, security and well-being. It has profoundly calming effect. A treatment feels like a wonderful glowing radiance that flows through and around you. It is administered by “laying on healing hands”. There is no need to remove any clothing as Reiki passes easily through all materials. Reiki is a simple, natural and safe method of spiritual healing and self-improvement. It is a gentle yet powerful complementary therapy that may be used alongside orthodox health care. As such, it expands treatments options. The word Reiki is made of two Japanese words – Rei which means “God’s Wisdom or the Higher Power” and Ki which is “life force energy”. So Reiki is actually “spiritually guided life force energy.” Eastern medicine has always recognised and worked with this energy, which flows through all living things and is vital to well-being. It is known as ‘ki’ in Japan, ‘chi’ in China and ‘prana’ in India. Are there different kinds of Reiki? There are about 25 different types of reiki, which are off shoots from the original reiki imparted by Dr.Usui. Usui Reiki: Mikao Usui was the founder of reiki, which is practiced all over the world. Hawayo Takata, a Japanese woman, spread the teachings of Reiki, to the West. 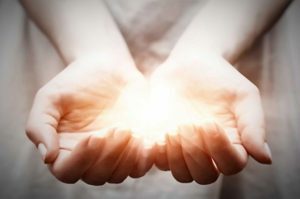 Holly Fire Reiki: The ‘Holy Fire’ Energy is noticeably more refined and connects us directly with a high level of consciousness, more than any healing energy previously experienced. It is powerful and gentle reiki energy, and brings deep personal cleansing, healing, empowerment and clear guidance. 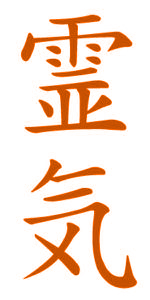 Karuna Reiki: ‘Karuna’ means a profound feeling to alleviate suffering, with abiding compassion towards all beings. Karuna Reiki employs sounds, endowed with the power to heal. These sounds are sacred and powerful. They can be transmitted silently through intention or by chanting, to bring about deeper levels of healing. The power of Karuna Reiki is used to heal addictions.